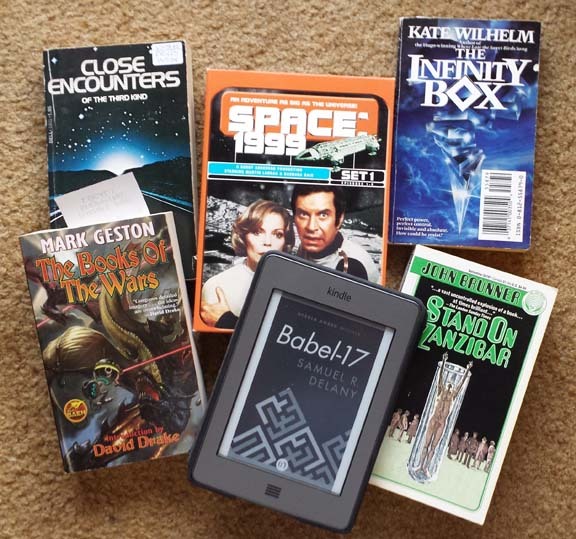 I’ve got some fantastic guest posts coming up for you, along with reviews of books like Babel-17, Stand on Zanzibar, Kate Wilhelm’s The Infinity Box and Mark Geston’s Lords of the Starship, among others. But I’ve got more than just books for you this time! During December i watched the beginning of the iconic science fiction tv show Space 1999, and went back to enjoy the first season of Star Trek. Thanks to a facebook acquaintance, I was introduced to the Starlog and Galaxy magazine collection at The Internet Archive. I don’t know about you, but I’m ready to be on Red Alert for the Interstellar Patrol! 32 Responses to "Welcome to Vintage Month!" Yay! So glad it is “officially” here. I kicked it off early with a read of Pebble in the Sky by Isaac Asimov. Great book. I’m about partway through Heinlein’s Assignment in Eternity, so that will be one I read for Vintage. I’m currently reading The Uplift War for the science fiction book club. It doesn’t quite make the cut, being from 1987…but given that that was the year I graduated from high school, and I’ve been to college and been married a quarter century since then, it certainly “feels” like I’m reading a classic, lol! I grabbed The Stainless Steel Rat Wants You from my basement pile as a possible re-read for VSFM. It has been a long while since I’ve re-read that one. So great to start the year with this, Happy New Year!!! 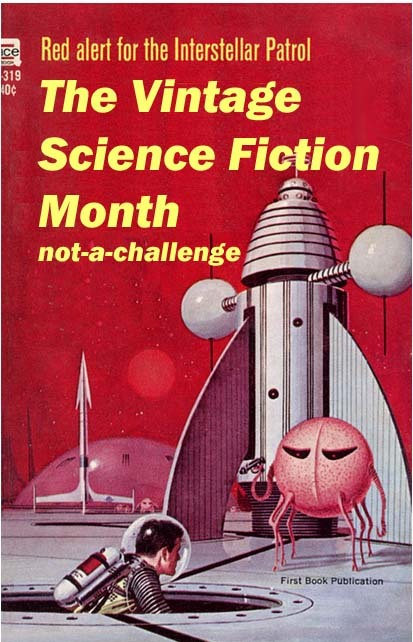 I’m of the opinion Uplift War should count just because it feels so much like good old fashioned science fiction… but I’m not the one making the rules. I want to read Stranger in a Strange Land and Canticle for Liebowitz this year… not sure I’ll get to them in January but I bet I can do one of them. Babel-17 is an excellent book, especially if you are into linguistics. I’ll be playing along in some capacity. my review for Babel-17 isn’t going up for a few days yet, but WOW did I love it!! I wanted to do The Circus of Dr Lao for this but can’t find my copy ANYWHERE. Wanted to reread it so bad. do what the rest of us do: purchase another copy because even though you KNOW you own something, you can’t find it. Looking forward to your thoughts on Mark Geston. I should have my first post up in a couple of days, now that our cold snap is ending and I can spend more time in my (unheated) mancave. So what publication date timeframe does it have to be printed in for it to be considered vintage? ha ha, very punny! 😀 And no worries, you’ve plenty of time to join in. and John Wyndham and Daphne du Maurier, YAY!!!!! Read and reviewed my second novel for Vintage SF: Assignment in Eternity by Robert A. Heinlein.